Vulners Bot is a Telegram interface for popular vulnerability database. It gives you availability of searching for exploits, tools, patches and many more using Telegram inline queries. But the most powerful feature is customizable security subscriptions feeds. You can select predefined themes or create your own and receive updates in any preferred schedule. 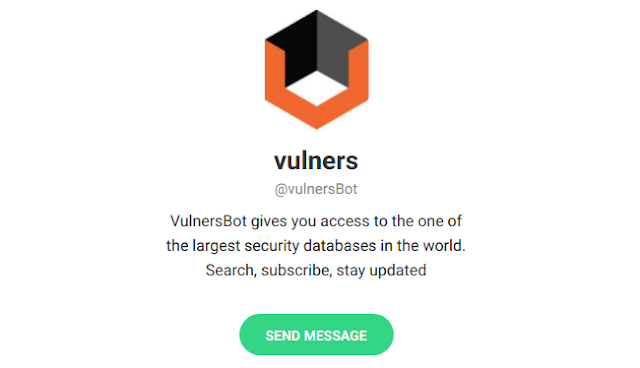 Like "Exploit updates" every day at 10 AM, "Security News" as fast as the arrive at Vulners database, "Fresh CVE" every week and any other custom scenario you can imagine. Filter the flood of the new information in the way you want.